Come and discover tandem paragliding and flight through the sky like a bird with our 20 years experience pilots. Have you ever dreamed of flying like Birds? 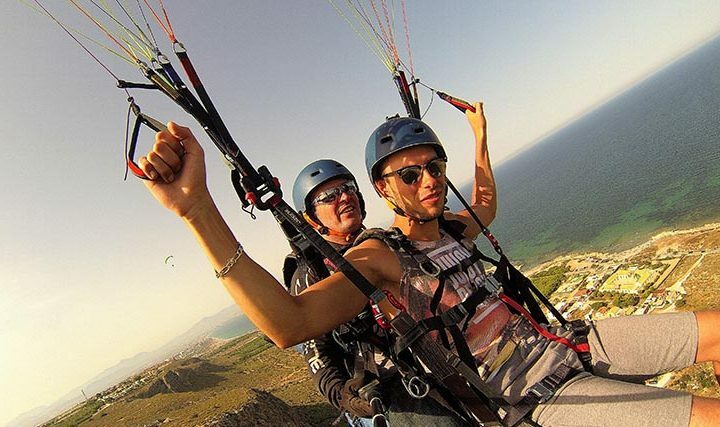 Tandem paragliding in Santa Pola gives you the opportunity to live the experience of your life. flying is the closest way that human beings have to fly like birds. We’ll give you an introductory talk,. Leonardo Da Vinci and many others have dreamed of flying, now you can do it safely with our pilots with more than 20 years of experience. How can I go fly Paragliding in Santa Pola ? Just tell us when you want to go, and we do the rest, we take care of you from the moment we pick you up until we drop you off at your hotel. Do you prefer to go by your self, we gives you the meeting point. Check what our new friends say about us in TripAvisor. We are so proud about our job, and happy about the comments our new friends say about us in tripadvisor. Are you scare of highs?